For more than five decades, VPG Transducers has earned a global reputation for our ability to successfully address your unique challenges with innovative and practical specialized weighing and force measurement solutions. Our applications expertise spans several industries but share a common outcome: a customer-focused approach to optimize performance and reliability. Advancing technology is a critical way to address many of today's challenges. We listen to your unique challenges to understand your goals. Our comprehensive R&D and production facilities provide you with a single, reliable resource, so we can partner with you from start to finish to deliver your custom solution. Solution: VPG Transducers combined the signal from a GPS receiver, a moisture analyzer and our Grain Flow sensor. During the harvest process, the grain that is transported by a continuous belt is "thrown" against the plate at the top of the grain lifter. Sensors mounted behind the plate pick up the the force, which contributes to the volume and weight of the grain. Together, with the GPS onboard the harverster, the readings are combined to calculate the yield return. 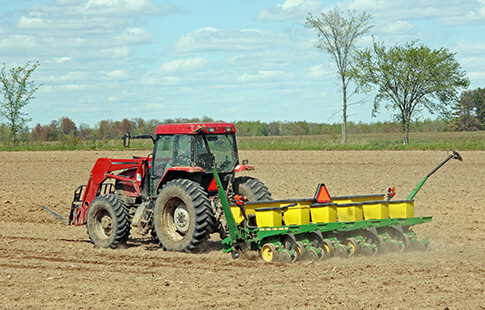 This data optimizes the amount of fertilizer required for planting. Solution: In this application, the load cell and force sensor is not always in the same horizontal/vertical orientation, and the direction of force is not always directly in line with the normal calibrated line of force. VPG Transducers successfully designed a custom load cell that incorporates a "tilt sensor". The tilt sensor transmits an additional signal that communicates the angle of deviation from the normal axis. The sensor is mounted on the top surface of the load cell, with an amplifier that combines both signals and provides an RS485 output. 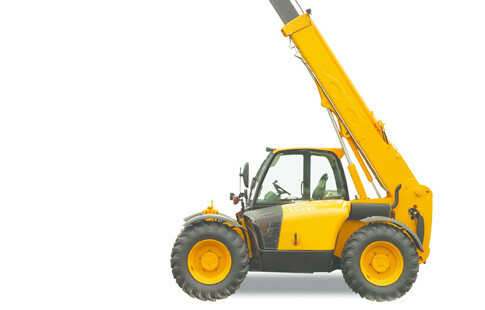 Solution: VPG Transducers manufactures a range of EN15000-compliant extensometers that are designed to be bolted to the main vehicular structure of the telescopic handler. If the sensor detects a possible vehicle overturn condition, the sensor sends a signal to the control unit to retract the equipment's boom. A redundant output in the sensor is included as a backup safety measure, and ensures constant feedback to the control unit. Our model 182 is designed for low strain situations and features dual CANBUS output with a J1939 protocol, enabling attainment of a much higher sensitivity. The overall design is flexible, and includes the ability to combine the extensometer with an in-cabin indicator, the LMI. This features provides additional features: audible and visual warnings, automatic shutdown and RS232 PC connectivity for settings and diagnostics. 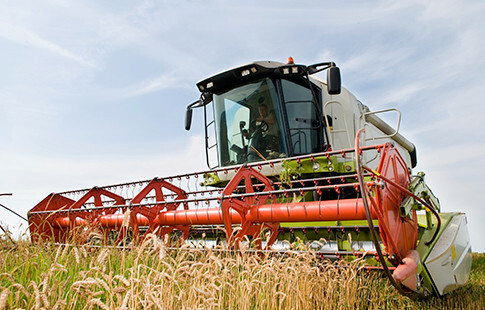 Solution: Automation innovation and precision are crucial elements to achieve higher yields and minimize waste. 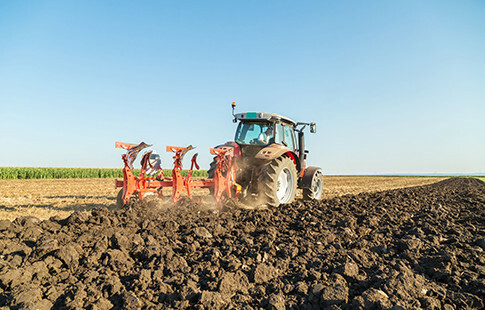 VPG Transducers has partnered with manufacturers to develop new and advanced sensing technology that's incorporated into today's sophisticated tractors. The model 5113/5117 standard draft pins are an example. These pins are available in different capacities up to 60 kN, with a safe overload capability up to 250 kN of force. 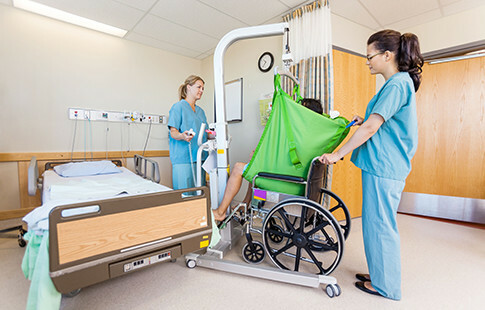 This solution is complete, with options and customization possibilities to adapt to any control system.